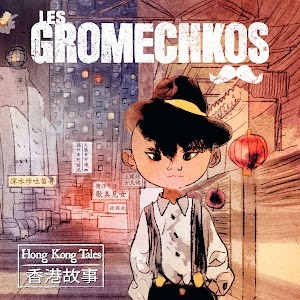 Founded in 2008, the six-piece band, Les Gromechkos, often tell tales surrounding their life, observations and experiences in Hong Kong through a musical blend of ska, rock, self-proclaimed gypsy punk and French musette. Their performances are often lively and theatrical, and can light up an entire room or be enjoyed with a beer – along with the guys in old-school suspenders and fedora hats/newsboy caps. Their new album ‘香港故事’ or ‘Hong Kong Tales’ takes listeners around the vibrant and historic city of Hong Kong and honor it’s sites with creatively chosen instruments – accordion, flute, keyboard, bass & drum. These choices help shed some new light on our city in a different way, both making fun and bringing excitement out of absurd everyday situations. It’s difficult not to talk about every single track solely on the fact that I want to convey the band within so many different dimensions (all their songs are actually very very different!) However I’ve decided on five which I think listeners would like. Le Cracheur de Flute de Sham Shui Po (Track 2) has an infectious rhythm – infusing rap and beatbox into their work along with the flute, and the tinkle on the piano. Yet, that isn’t enough frenzy on the track – the boys sung in three different languages – English, Cantonese *and* French. Makumbreizh (Track 3) is a tropical feel good track that speaks a lot about the heart of love. The marimba adds to the song, while still playing notes slightly out of tune and so do the adding and taking away of instruments and voices – the crash cymbal, the layering of voices and the riffs on guitar and bass. Wanchai Cowboy (Track 5) is a saloon style song with a particular Western feel to it (except when it turns slightly Latin too!) – quite simply a good song to get you on your feet. What’s strange yet intriguing about Wanchai Cowboy is how the guitar and the piano almost have a little song going on on their own – they sound fragmented and disconnected from each other. La Gromechkienne (Track 7) start off as a classical melody and lead into a latin sort of atmosphere once again, but alas, the wah wah effect on the guitar and the accordion continuously manage to change the style and genre throughout the piece. Tai O Fish Market (Track 11) the steady baritone register and sea shanty rhythm that is featured in track 11 is a great reflection on the relaxed and island-living association with Tai O.
Hong Kong needs a good representation, especially in a more modern and exciting way, rather than a traditional red lantern and smoky temple stereotype. 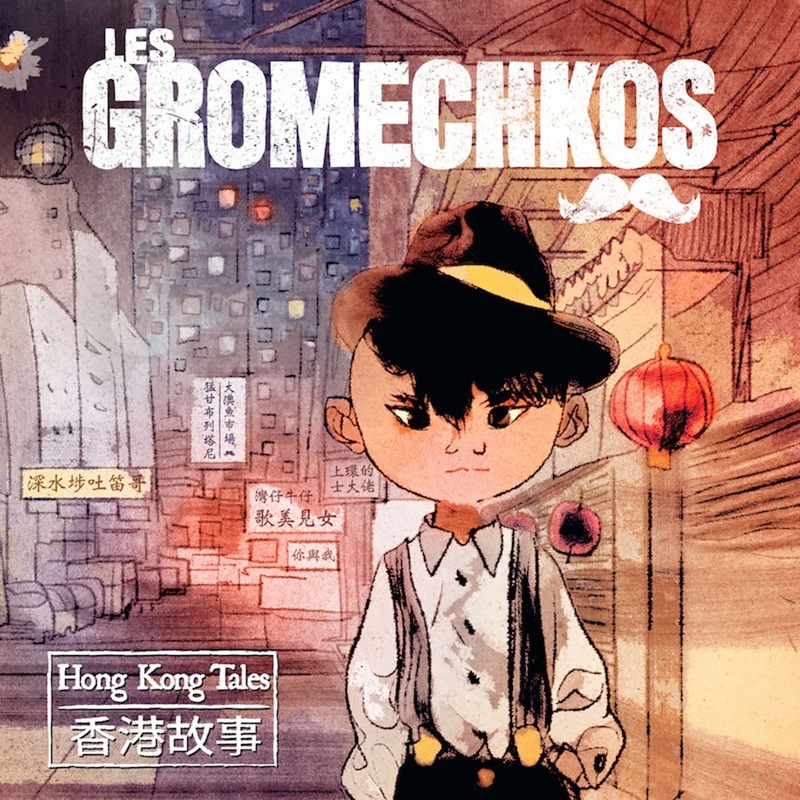 Les Gromechkos have managed to achieve this in the best way possible – through another language and another culture, they portray Hong Kong as a feel good place where each step in each district is another journey of its own.